Home › Colorado › Glenwood Springs › Personal Injury Attorneys Near Me in Glenwood Springs › Kaufman Donald J. 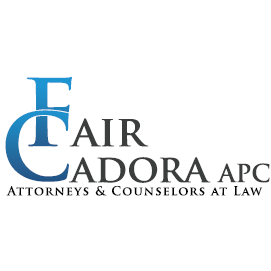 Workers' Compensation Attorney & Abogado in Colorado! Donald Kaufman is the attorney you can count on to get what you deserve in a Colorado workers' compensation case. Injured on the Job? Denied Workers’ Compensation Benefits? Getting the Run Around? Need a helping hand? I am here, in your corner, ready to fight for you. Born in Colorado, raised in Glenwood Springs, I know the Western Slope, its issues and the players. I will fight for you. Call me for a Free Initial Consultation! 24/7 - Meet with me at no charge to determine your rights and get solid advice how to proceed. My office number is listed above, and the office is located at the Sunlight Bridge in the Penrose Plaza. I am on the first floor and you can drive right to the front door of my office. I live in Glenwood. I own a little ranch south of Silt. I am not part of the Large Denver Firm. I fight for you! Call right now! Give to Kaufman Donald J. You will receive updates from Kaufman Donald J.